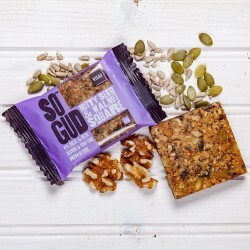 Gluten-free, delectable sweet seed oat squares made from natural ingredients. Terri and her husband Neil could not find highly nutritious, wholesome on-the-go baked sweet snacks. 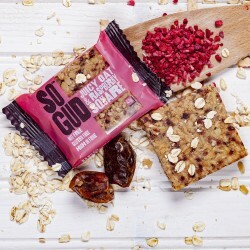 They started their quest to create products that we could guarantee contained no additives, no processed sugar, only whole goodness. 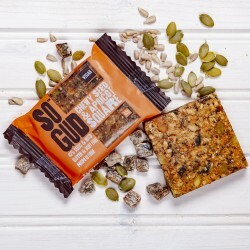 They teamed up with industry experts to develop recipes based on the highest nutritional standards. Early in 2016 they built their own bakery in Wishaw and began lovingly making their products the good old fashioned way … by hand. 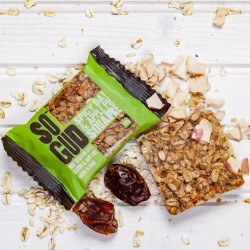 Sogud go to lots of effort to source the best whole ingredients for their premium, intensively nutritious, delicious oat squares.